Listen to an Alternate Version of The Neighbourhood's "Afraid"
The Neighbourhood had one of the best albums of 2015 with Wiped Out!, but the California band brings it back to their 2013 album I Love You. today with an alternate version of the song “Afraid.” The new version was uploaded to the band’s VEVO page along with some simple and on-brand black-and-white visuals. Check it out above. 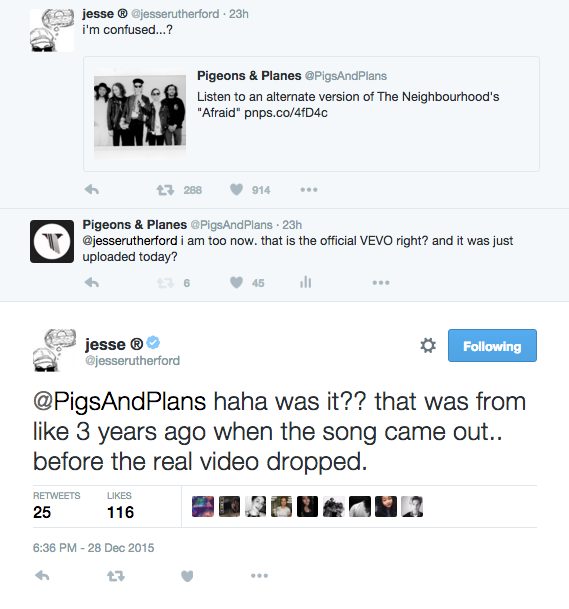 UPDATE: It’s unclear was re-uploaded to the band’s VEVO, but it was apparently some kind of mistake, and this isn’t actually an alternate version of the song.